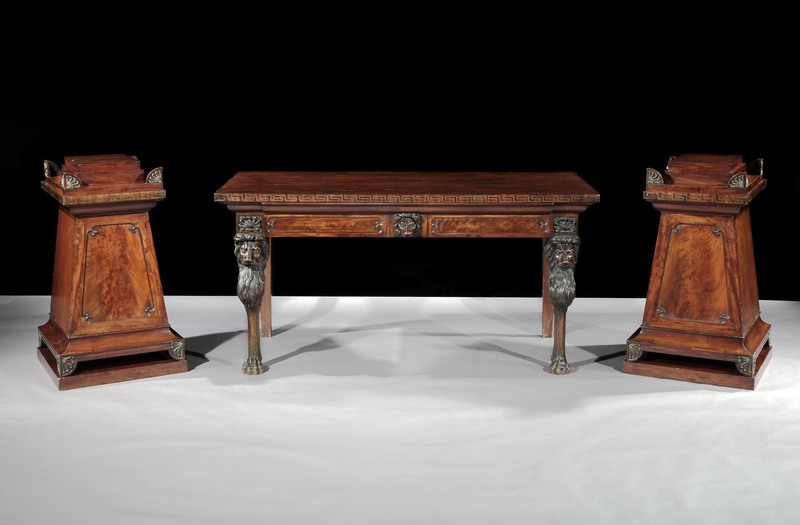 A superb George IV mahogany serving table with matching pedestal cupboards. 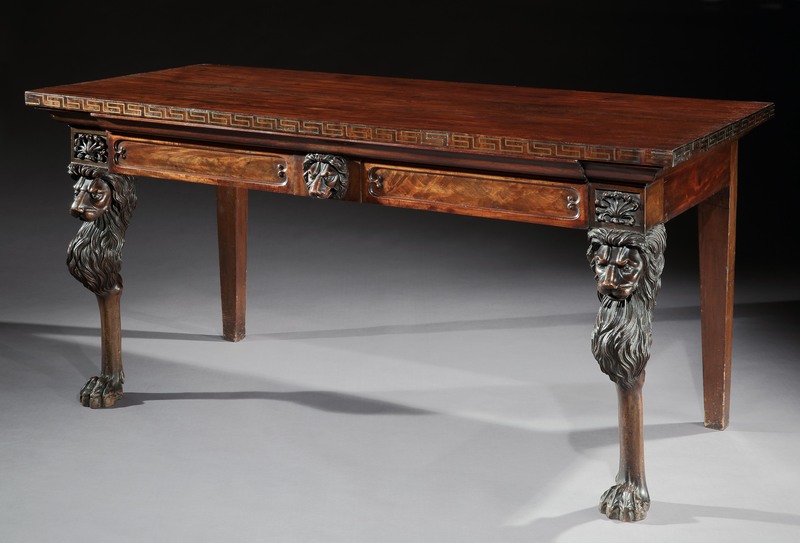 The rectangular top table has a brass inlaid Greek key edge, above a panel frieze with central drawer and carved central mask flanked by carved anthemion's. 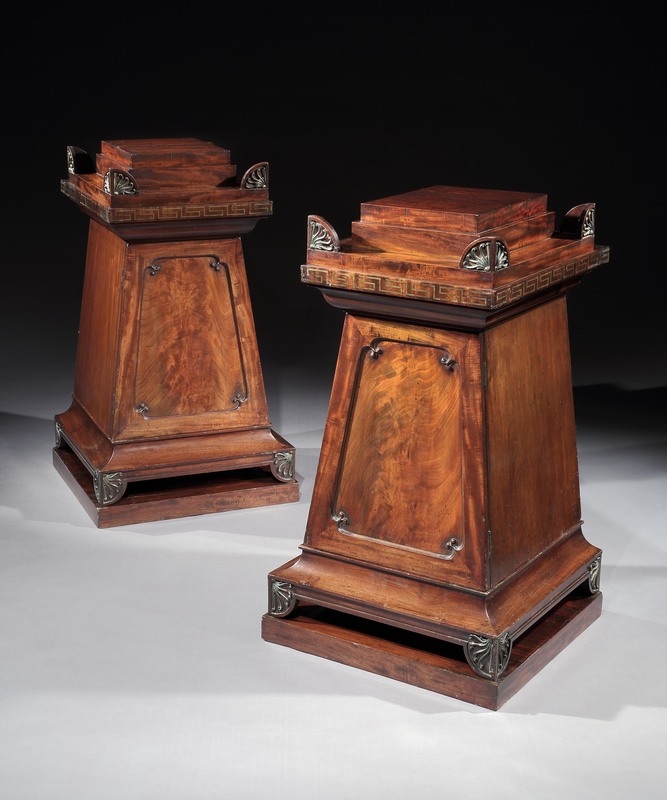 The sarcophagus shaped pedestals have tapered bodies, below a stepped top with brass anthemion's and a Greek key edge. One of the cabinets is fitted for wine.